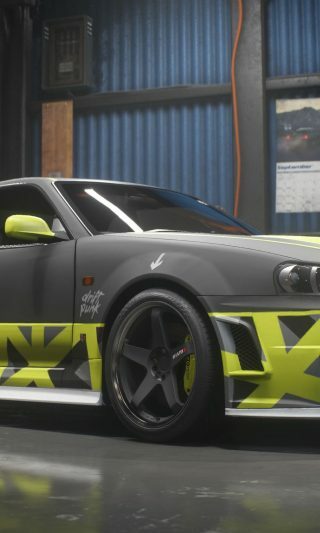 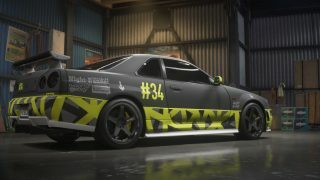 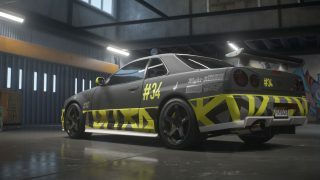 What better way to start off on a journey to build a street race car than to do it with a NISSAN Skyline GT-R V-Spec. 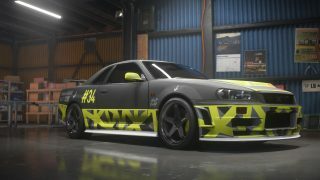 This trusty R34 has been built using some of NISSANs own parts with a Nismo Z-Tune hood, front bumper and sideskirts. 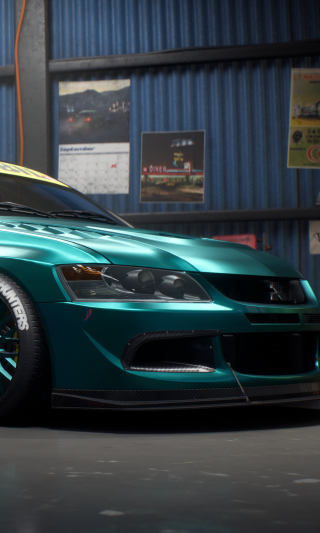 The iconic Nismo LMGT4 rims coupled with the yellow calipers set the look and stance. 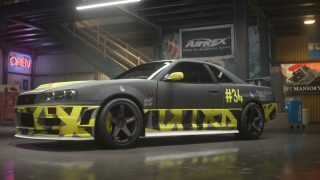 Adding a unique wrap made up of bright colours and contrasting materials really make this car stand out on the streets and roads of Fortune Valley.